New Delhi sources stated that Prime Minister Narendra Modi called his Bangladeshi counterpart Sheikh Hasina yesterday and conveyed his heartiest congratulations on her party's decisive victory in the parliamentary elections. 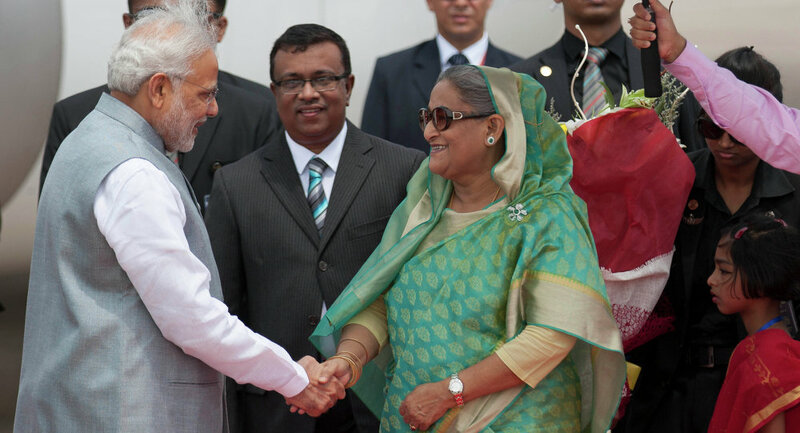 Meanwhile the Ministry of External Affairs said that PM Modi has expressed confidence that the partnership between India and Bangladesh will continue to flourish under Sheikh Hasina's "far-sighted" leadership. Accordingly Sheikh Hasina also thanked Prime Minister Modi for being the first leader to call her to convey his congratulations. The Ministry of External Affairs said in a statement "The PM also reiterated the priority India attaches to Bangladesh as a neighbor, a close partner for regional development, security and cooperation, and a central pillar in India's 'Neighborhood First' policy”. Further the ministry said that the conversation was very cordial, fully reflecting the close and traditionally friendly relations between India and Bangladesh. Moreover the statement said "PM Sheikh Hasina thanked Prime Minister for being the first leader to call her to convey congratulations. She also thanked India for their consistent and generous support which has benefited Bangladesh's development, and appreciated PM's reiteration of this commitment”.